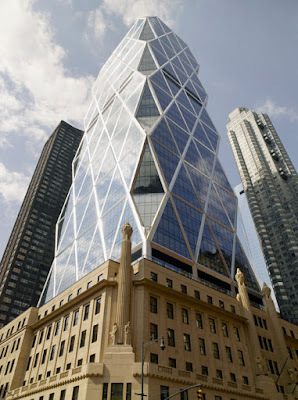 NYC Urban Sketchers visits the Heart Tower. The original cast stone facade has been preserved in the new design as a designated Landmark site. Originally built as the base for a proposed skyscraper, the construction of the tower was postponed due to the Great Depression. The new tower addition was completed nearly eighty years later, ... and 89 years after that Urban Sketchers arrives to take in the site. 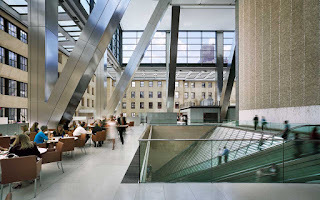 The atrium features escalators which run through a 3-story water sculpture titled Icefall, a wide waterfall built with thousands of glass panels, which cools and humidifies the lobby air. Hearst Tower is the first "green" high-rise office building completed in New York City, with a number of environmental considerations built into the plan. 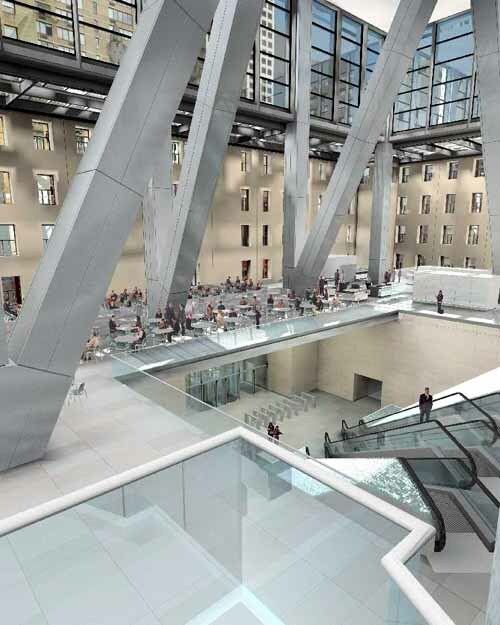 The floor of the atrium is paved with heat conductive limestone. 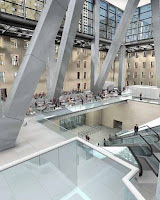 Rain collected on the roof is stored in a tank in the basement for use in the cooling system, to irrigate plants and for the water sculpture in the main lobby. 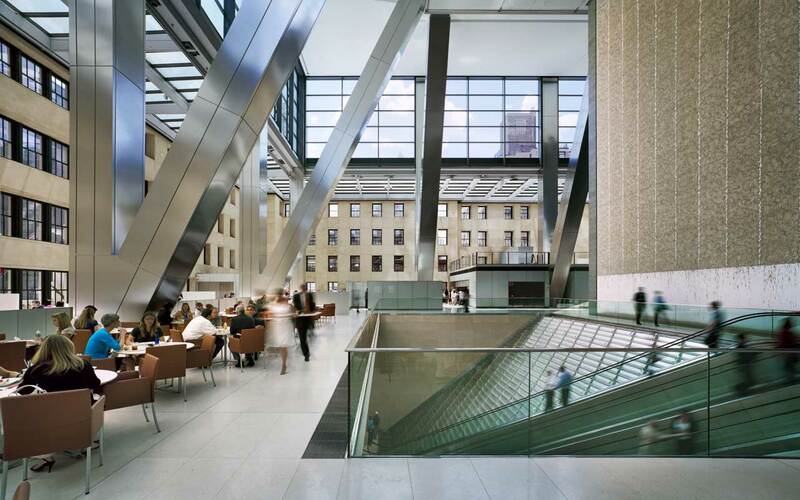 Lunch: 12:30 - 1:30 The Turnstyle: under the Hearst building in the subway corridor . Modern market in a subway station featuring independent shops & vendors for food, coffee & sweets. - Bring a folding stoll if you have one - it's a big help allowing you to sketch from the perfect spot.